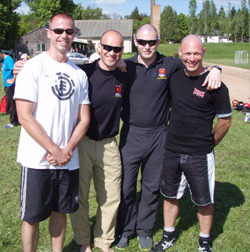 The Russian Kettlebell Challenge (RKC) is the worlds pioneering and leading Kettlebell certification course. The list of amazing athletes and coaches that have been developed through Dragon Door and Pavel Tsatsouline’s RKC curriculum include Steve Cotter, Jeff Martone, Kenneth Jay and Mike Mahler to name a few. No current Australian certification courses can even closely compare to the standard set by Dragon Door and the RKC. Be warned. 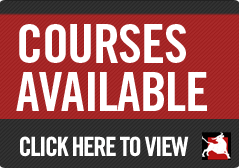 Most current martial arts clubs, gyms, outdoor based group fitness groups and personal training sessions using kettlebells in South Australia, along with most current Australian PDP accredited certification courses are taught by individuals with no formal education or certification in this area. They have learnt from DVD’s and books just as we did prior to making the effort and taking the expense to travel and learn from the world’s leading coach. The Head Coach is one of only 6 RKC (Russian Kettlebell Challenge) certified instructors in Australia and the only trainer currently certified by Pavel Tsatsouline and the RKC in kettlebell lifting in South Australia. Head Coach on the far left with Master of Sports, Pavel Tsatsouline of Dragon Door and the RKC and Expert level Krav Maga instructors Tommy Bloom and Amnon Dharsa on the RKC in Budapest, Hungary. Kettlebells forge their practitioner’s physiques along the lines of antique statues - broad shoulders with just a hint of pecs, back muscles standing out in bold relief, wiry arms, rugged forearms, a cut midsection, and strong legs without a hint of squat-induced chafing. Kettlebells melt fat without the dishonor of dieting or aerobics - losing 1% of body fat a week for weeks is not uncommon. If you are overweight, you will lean out. If you are skinny, you will get built up. According to Voropayev (1997) who studied top Russian gireviks, 21.2% increased their bodyweight since taking up kettlebell lifting and 21.2% (the exact same percentage, not a typo), mostly heavyweights, decreased it. The Russian kettlebell is a powerful tool for fixing your body composition, whichever way it needs fixing.